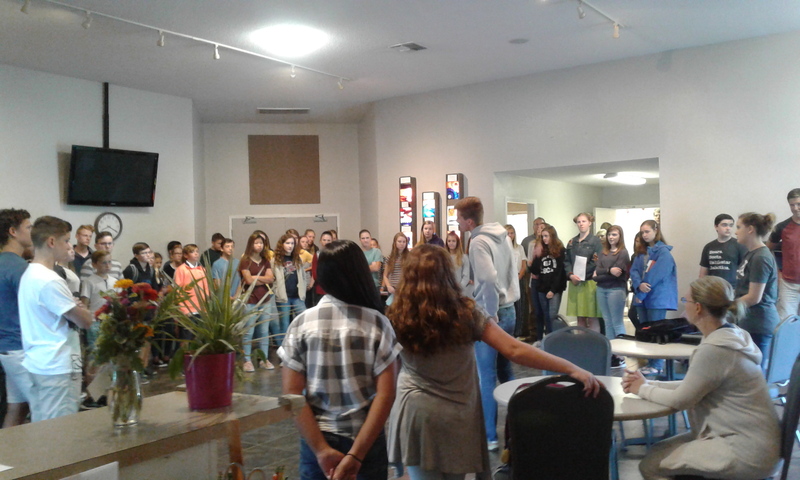 Beginning a new yearly discipline, the secondary student body has used the first few weeks' morning gatherings, connection assemblies, and Friday afternoon events to focus on authentic faith. Staff and student leaders have led the student population in studying what God's Word says about fully living out the Christian faith. 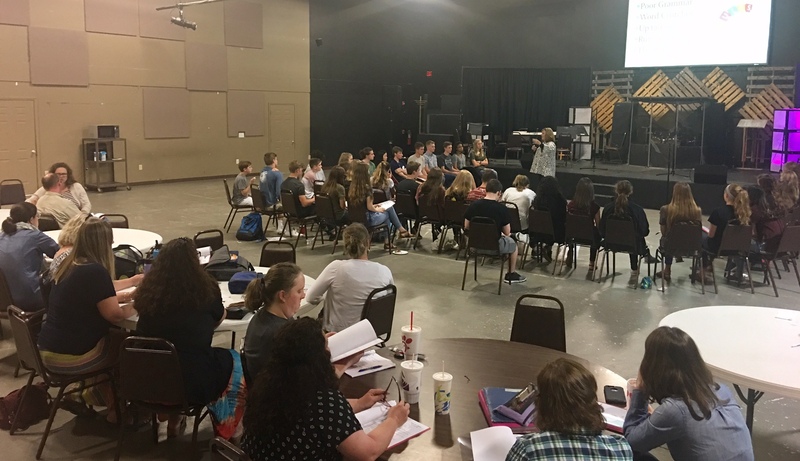 This past Friday, students practiced applying what they are learning by brainstorming ways to live authentic faith within the walls of Lake Pointe. 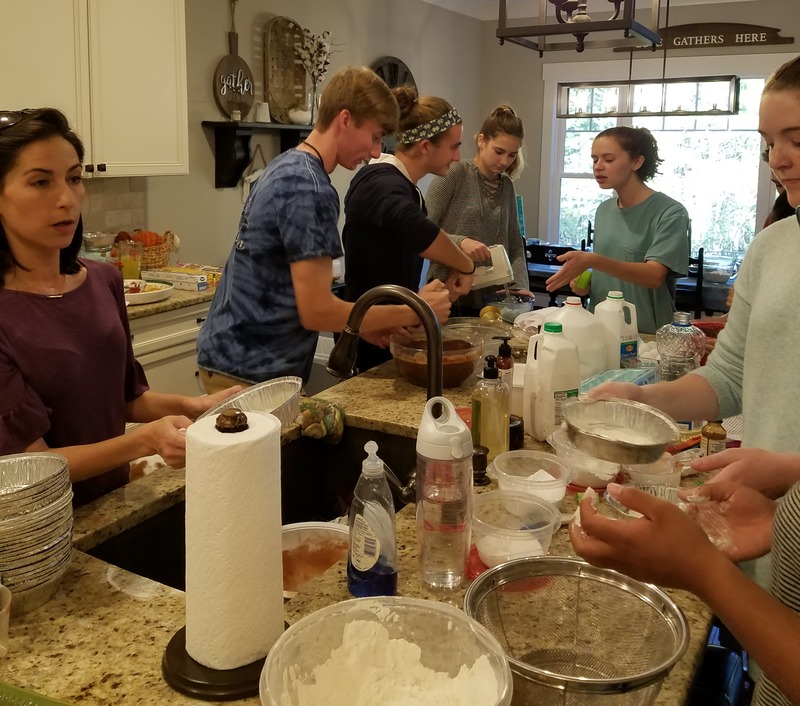 Then, next week, students will practice living their faith off campus through service visits to the Rock Hill Palmetto Crisis Pregnancy Center and Morning Side Nursing Home. secondary students in a two hour session to learn and improve interview skills. Part of Lake Pointe's mission is to equip students with ministry, life, and opportunity skills. Through this workshop, students were taught how to identify their communication and relational skills and how to prepare for some of the most common question asked during scholarship, college admissions, and job interviews. While summer provides much needed rest and recuperation for staff and families, it is also an important time of preparation for the upcoming school year. In light of this, LPA hosts trainings each summer for LPA’s co-teachers and teacher as well as educators from other schools. The last week in June marked the beginning of these training session--which will continue up until the start of school. Throughout the week, three key sessions were held. Instructor Ali Salmon lead two section of trainings for new students and parents grades 3rd through 9th focused on the Institution for Excellence in Writing program. On Wednesday, instructor Stephanie Cutshall lead a one day training for the Singapore Math curriculum where parents and teachers alike experienced a hands-on introduction or refresher to the curriculum. 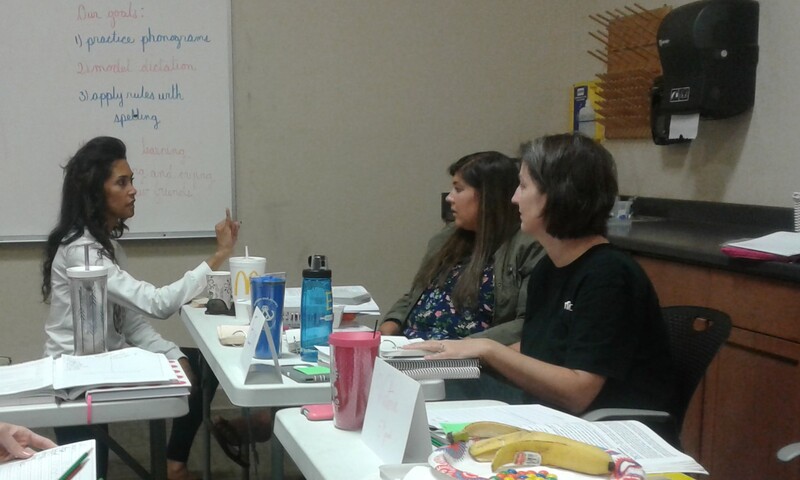 Lastly, grade level supervisor Staci Jackson hosted a two day seminar on the Spell to Write to Read curriculum. Along with new parents and teachers, instructors from nearby schools and home-school parents attended this training session as they learned and practiced how to teach the various steps of the program throughout various grade levels. Each of these training sessions will have a second session during the month of July with the same instructors. 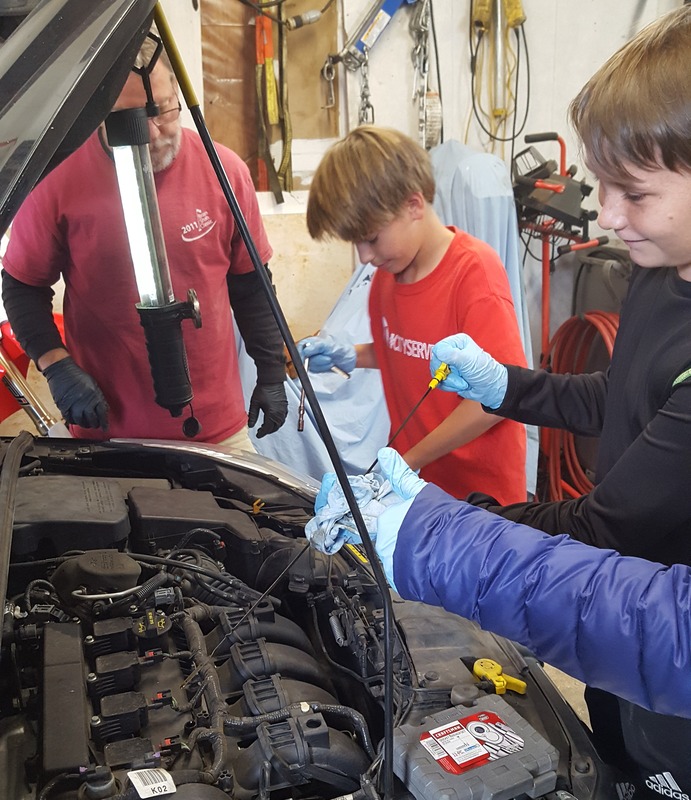 Lake Pointe uses these trainings with the aim that every family enters the fall confidently and fully prepared the upcoming school year. 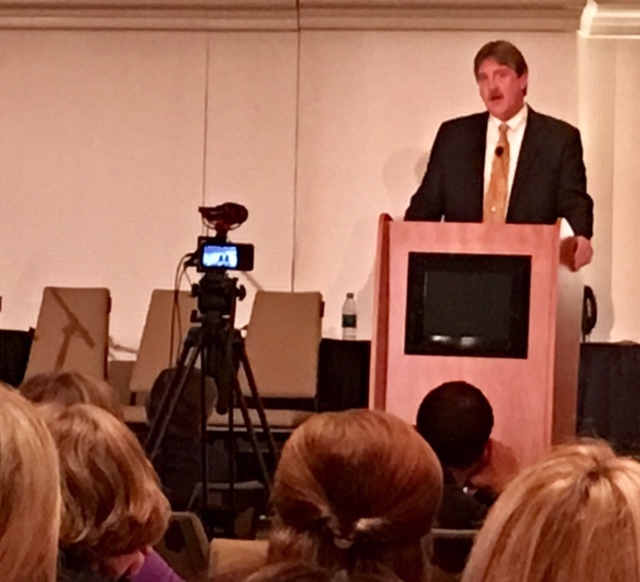 Principal Louis Lemmon attended the annual conference for the National Assoc. of University Model Schools in Dallas, TX. He was able to attend a variety of seminars on matters specifically important to the UMS and several particularly pertaining to the Classical Christian UMS. 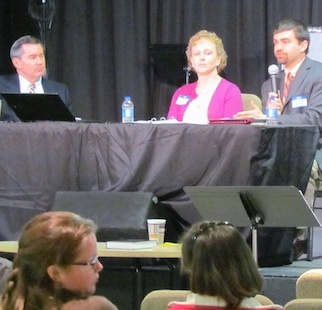 To provide training and a jolt of inspiration, Lake Pointe hosted a Classical Christian Education conference for its teachers, parents, and guests. The January 11 conference, held before the restart of classes for spring semester, featured experienced presenters from Highlands Latin School and Memoria Press. A bonus evening session was held, especially for fathers.